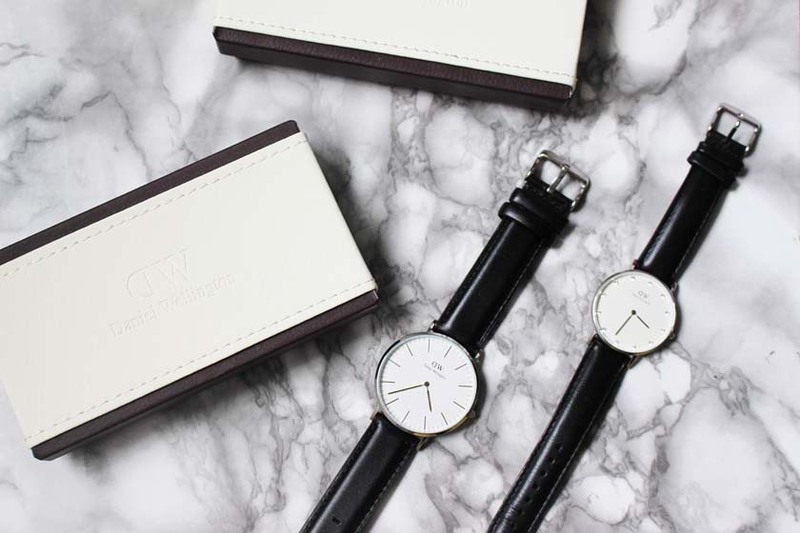 I featured Daniel Wellington watches on the blog a couple of times and me and my husband already have matching ones (see here), but none of them have silver hardware. That's why I opted for a classic black an silver design this time. 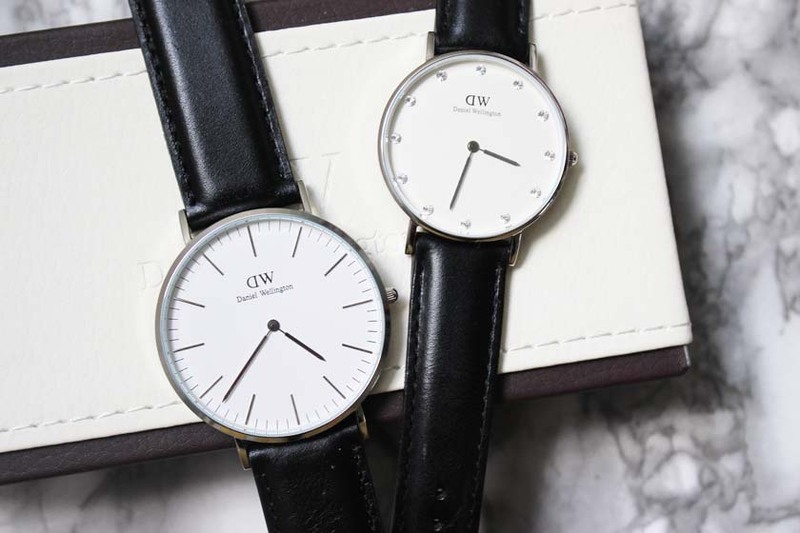 I picked the Daniel Wellington Mens Classic Sheffield*(£179.00) for my husband and the Ladies Classy Sheffield*(£159.00) for myself and I couldn't be more pleased with both. 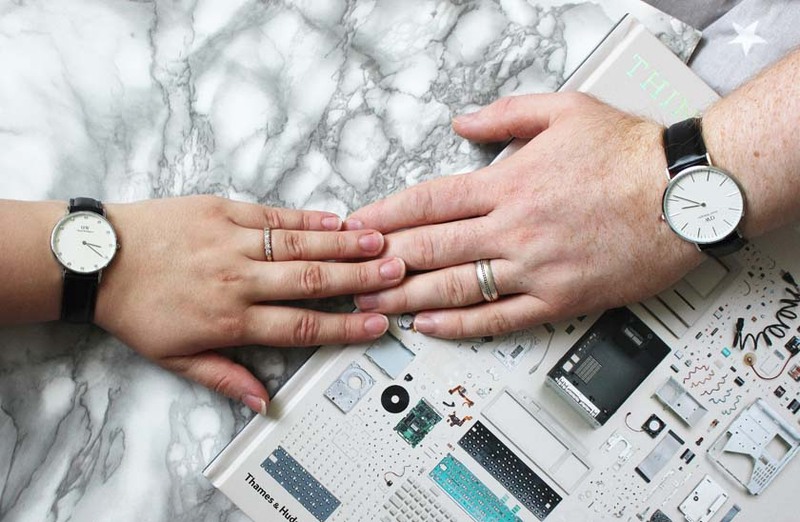 I already know that I will be stealing my husbands watch when he's not wearing it :) Although... I love wearing matching designs at the same time. 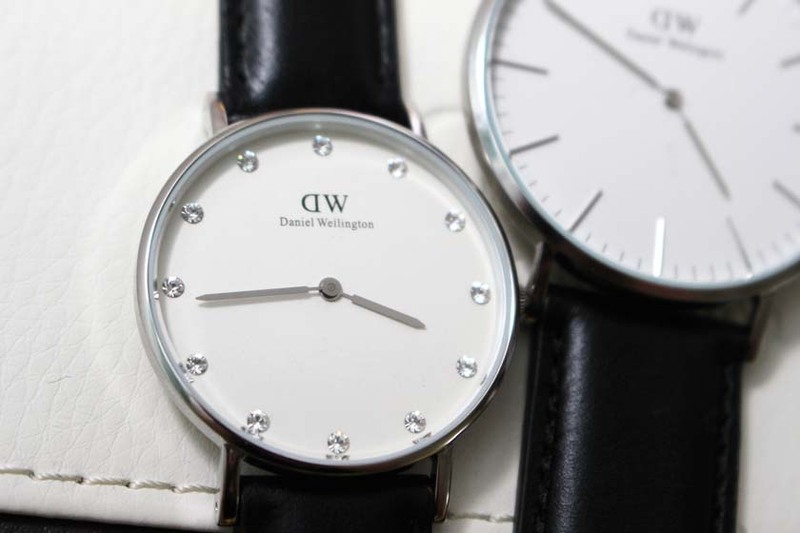 My Classy Sheffield is simple and elegant, but the little Swarovski crystals add a feminine touch and extra sparkle. I absolutely adore it and I can't stop staring at it. Sooo, soo lovely and chic! It goes with absolutely everything and I have been wearing it every day lately. 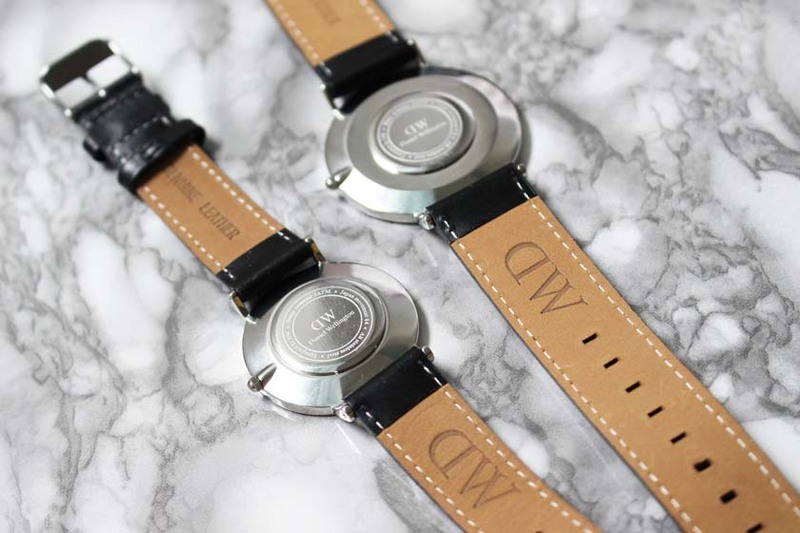 The 34 mm face is a perfect size as well and it will suit any wrist. 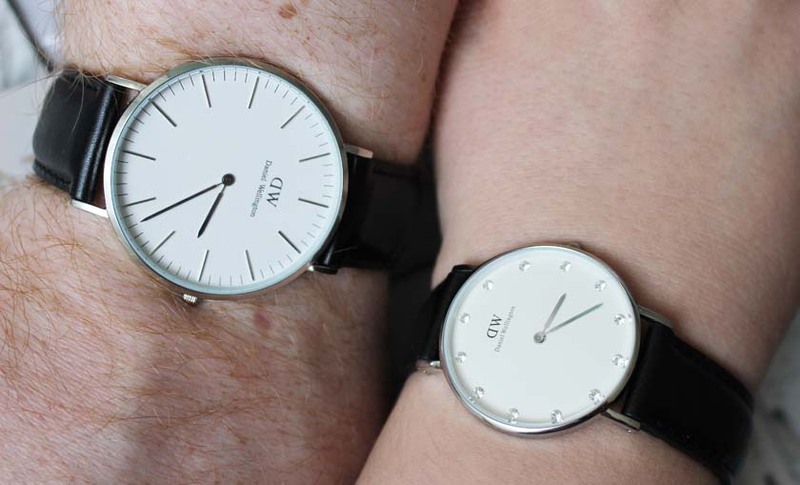 I have big wrists and it doesn't look to small on me, but I also know that it will look gorgeous on tiny wrists. 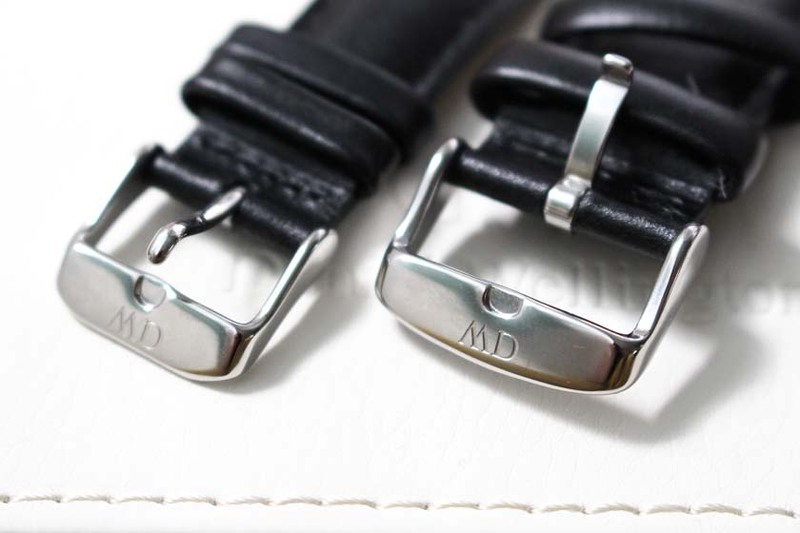 My husbands Classic Sheffield is a bit larger, with a thicker strap, but it can easily be worn by a female too. 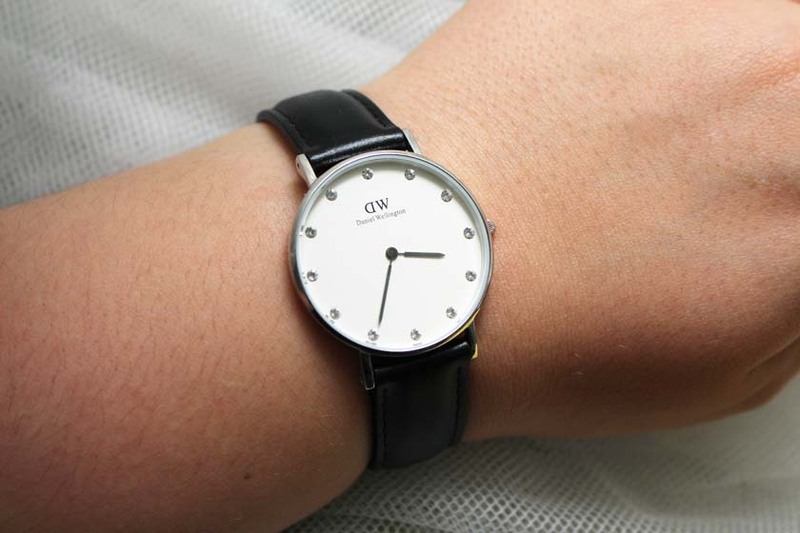 I personally love oversized 'boyfriend' style watches. 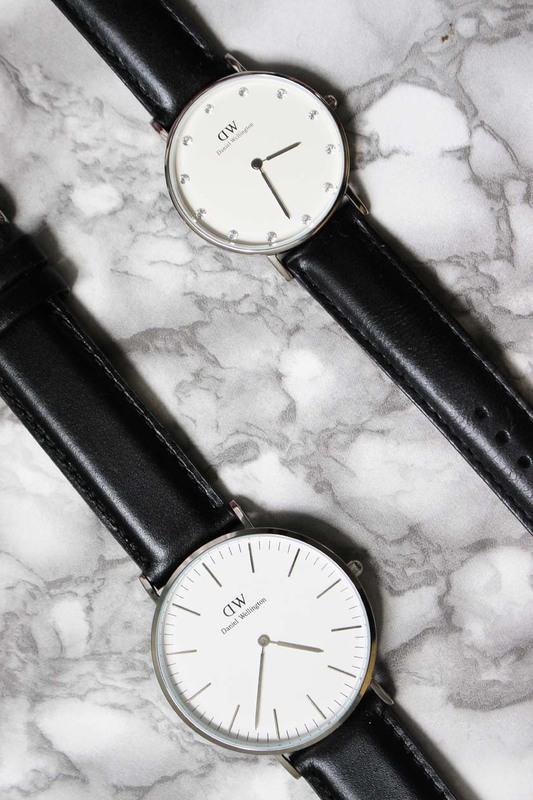 The minimalistic design and the combination of black and silver are timeless, so I can see my husband getting a lot of wear out of this stunning timepiece. 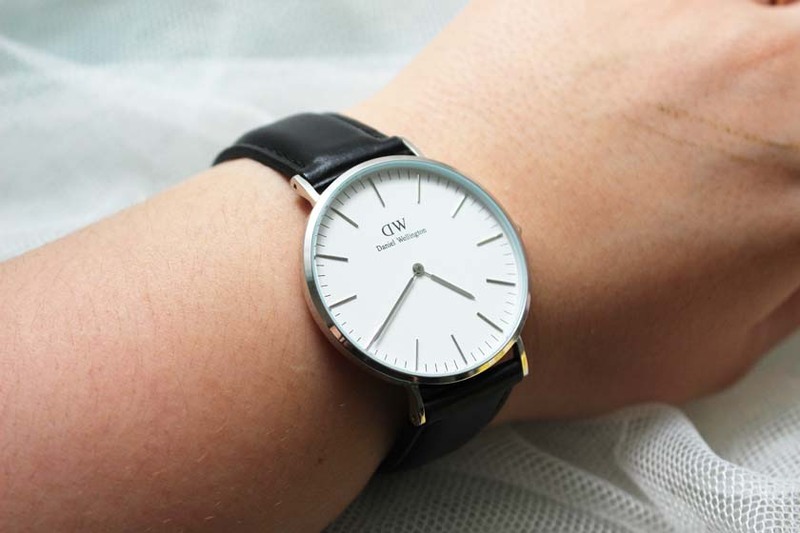 If you fancy treating yourself or someone special to a gorgeous Daniel Wellington watch, use my code: THEBLACKPEARL for 15% off your order at www.danielwellington.com.